It was a near perfect day for sailing, lots of sunshine and a good NW breeze. Immediately after the presentation of the Queen’s Award, 10 boats and 14 sailors eagerly took to the water in readiness for Race 7 of the Summer Series. Four classes of boat took part, 4 entrants in 303 Access, 3 entrants in Liberty and, for the first time, 2 entrants in Martin and 1 in a Venture! The wind direction allowed us to set a course that had its Start/Finish Line between Buoy K and the Pontoon which gave a beat on the first leg up to Buoy B, rounding it to starboard, followed by a reach across the wind to gybe round Buoy C and then a run downwind back to tack around the third Mark (Buoy K). All the 303 entrants were well positioned as the Start whistle blew and Brian Mac led the fleet upwind to the first Mark. The three Liberties also got away smoothly when their Start was sounded 3 minutes after the 303s and then, because it was their first time in the WS Race Series and the race was going to be shorter than the normal 40 minutes, the Martins and the Venture were started a generous 2 minutes after the Liberty’s Start. They also got off to a good start and were quickly in pursuit of the fleets of 303s and Liberties! Fay, Kim and Steve were closely matched during the first Lap and kept in front throughout the Lap, but the bigger boats made the most of the good wind and even with their later Starts, they had overhauled Brian Mac in his 303 by the end of the first Lap. So Peter W, Mike B and Brian H in their Liberties, Alan and Mark in their Martin and Rosie and Allan in the Venture began Lap 2 in hot pursuit of the rest of the 303 fleet. Kim yet again demonstrated her sailing skill taking the lead from Fay and Peter W managed to squeeze his Liberty past Steve’s 303 but Steve still finished the second Lap in front of Malcolm in his Martin. Kim and Fay in their 303s were battling hard to maintain the 1st and 2nd position they had starting the third Lap, but Peter W and Mike B in their Liberties and Rosie and Allan in the Venture were all pursuing them hard. 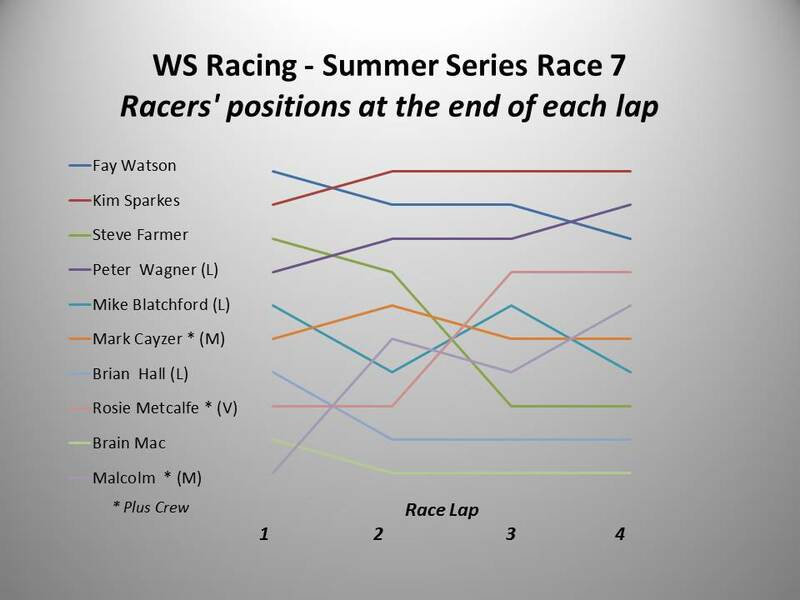 And although Kim and Fay were still leading at the end of Lap 3 and kept their advantage well into the final Lap, Fay was pipped by Peter W who had a storming last Lap to finish 2nd just ahead of Fay, followed by the more powerful Venture and both Martins!! 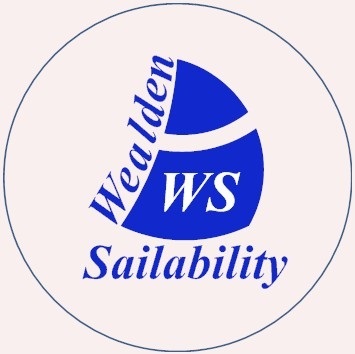 Overall the race had done justice to the excellent sailing conditions and well done to all the WS Racers who raced on this special day for WS.